Where Should I Learn Spanish in Spain? Which City or Region is the Best to Learn in? Question: Where Should I Learn Spanish in Spain? Answer: Many people come to Spain to learn Spanish. Though the Spanish you learn in Spain is different to South American Spanish, if you learn Spanish in Spain you will be understood in any Spanish-speaking country you visit. Don Quijote Language School has schools in most places mentioned on this page. If you come to Spain to learn Spanish, the longer you spend in the country the better. Though a two-week course will give you a better grounding than you could get in months of going to evening classes at home, staying for three to six months is the best way to get a good grasp of the language. So you need to choose your city wisely. Catalonia Exact figures are hard to find, but approximately half of those living in Barcelona in Catalonia prefer to speak Catalan over (Castilian) Spanish. The proportion is even higher outside the city. Valencia Some Valencians speak Valencian, a dialect of Catalan (though some dispute its status as a dialect). There is less militant promotion of their language than there is in Catalonia. Basque Country The region known as the Basque Country, which includes the autonomous community called 'the Basque Country' as well northern Navarra, speaks Basque, though to a lesser degree than the Catalans speak Catalan. Galicia The locals in Galicia speak Galician, which is closer to Portuguese than Spanish. Most people also speak Spanish, but they prefer Galician, particularly outside the cities. Read more about Languages Spoken in Spain. Andalusia and Extremadura Many people speak with a difficult accent, dropping letter, particularly the letter 's'. This will be good practice for visiting some parts of Latin America, but note that not all difficult accents are difficult in the same ways! Galicia Not only do they speak a different language in Galicia, but their accent in Castilian spanish is tough too. The clearest Spanish accents can be found in Madrid, Salamanca, Burgos and Valladolid. The next thing thing to think about is cost of living The south is the cheapest, the Basque Country is the most expensive. Barcelona and Madrid, as the two biggest cities, tend to be more expensive than other areas. Smaller cities in Salamanca and Valladolid are cheap, but there is less to do in these places. Which brings us on to our final question: what is there to do in each city? Spending three or six months in a city is different from a quick visit. You will probably care less about the tourist sights and more about the lifestyle in general. Is there a big nightlife culture? Will you get contact with other foreigners (do you even want contact with foreigners?). These are some of the questions you need to ask yourself. The three most interesting cities in Spain for a foreigner are Madrid, Seville and Barcelona. Conclusion: So Where Should I Learn Spanish in Spain? So where do I recommend you learn Spanish in Spain? Taking all of these considerations into account, my first choice would be Madrid. (I wish I knew then what I know now - I learned my Spanish in Seville). It has a clear accent, no regional languages to content with and plenty to do. With so many people, including foreigners, you could as easily hide from contact with people from your own country as you could seek it out. The only downside is that it is a little more expensive than some parts of Spain. If you have strict budgetary considerations, Salamanca is an excellent option. Read more about Which City in Spain to Learn Spanish In. 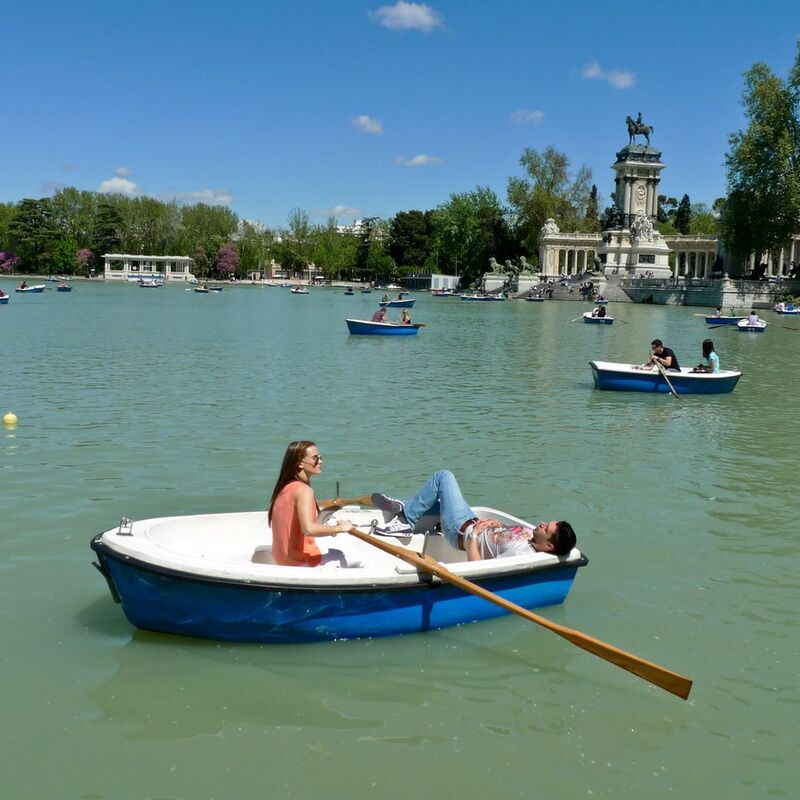 Middle half in Madrid Madrid is Spain's most vibrant city and it still has a great accent for learning good Spanish. It is a little more expensive than other cities, but you'll be saving money in Salamanca and Seville to pay for your time here. Read more on a language school in Madrid. Though you could shop around for schools in each of these cities, the easiest way to learn Spanish in several cities in Spain is to go through a school that has several branches. Don Quijote Schools have branches in Madrid, Salamanca and Seville, as well as in nine other locations in Spain. International House has branches in Seville and Madrid but not Salamanca. With International House, swap Salamanca for Valencia. Is Bilbao the Right City in Spain for You to Learn Spanish in? Is Valencia the Best City in Spain for You to Learn Spanish?